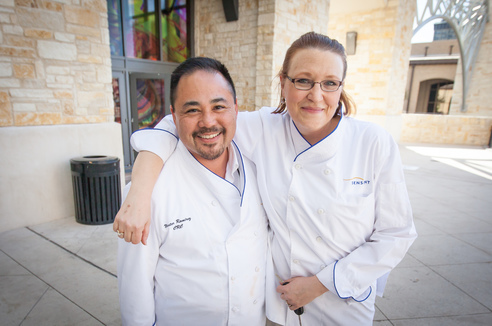 Join RCA on Monday, June 25 at 11:30 a.m. CT to hear from Kami Smith, director of culinary showcasing at Pecan Deluxe Candy Company, who will share insights on how to build confidence and become a leader in a society faced with tough challenges. This webinar is complimentary for RCA members. Don’t Lose Access to Your Member Benefits – Renew Today! From the growing RCA Conference and the enhanced Learning Library to RCA Connect, certification and local events, don't miss out on the benefits that make RCA your association and your community! Renew by June 30 to maintain access to the RCA community. "Vegetables taking 'center stage,' Brazilian tapioca and Indian cuisine are three trends bubbling up on menus in Los Angeles, Chicago and New York, said Gerry Ludwig, corporate consulting chef of Gordon Food Service, Grand Rapids, Mich. Mr. Ludwig spoke last March during the Research Chefs Association’s annual conference in Savannah." 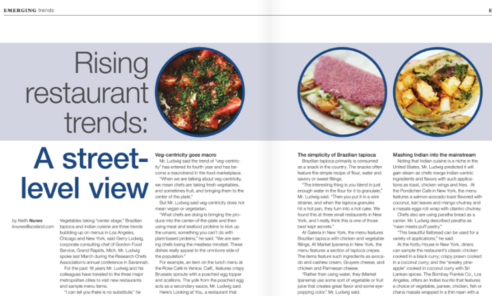 Read more about emerging trends in the June issue of Culinology® magazine. Join RCA and the Women's Foodservice Forum (WFF) at the WFF Executive Summit, July 23-24 in Frisco, Texas. The event will feature an immersive exploration of the LEAD THE WAY initiative, WFF’s bold initiative to make the food industry the first to close the gender gap and lead the way for other industries to follow. The Culinology® Education Foundation (CEF) provides financial assistance in the form of scholarships to qualified students and professionals pursuing higher learning and continuing education in Culinology®. Support the CEF by donating to the foundation! As a Donor, you will receive industry-wide recognition as an RCA partner and as a strong advocate for the education of emerging industry professionals.